SUP (Stand Up Paddle) combines the best of surfing and kayaking, and gets you closer to the ocean waves and beautiful scenery. This global sport has its roots in Hawaii. This ancient tradition combines the best of two branches – surfing and kayaking. As the name suggests, you stand up while the paddle is used for both control and propulsion. SUPs are really on the rise, also in Denmark. If you love the water, this is a great sport you have to give a try. SUP fits the Danish coasts, beaches and weather well, as the currents are not so violent. 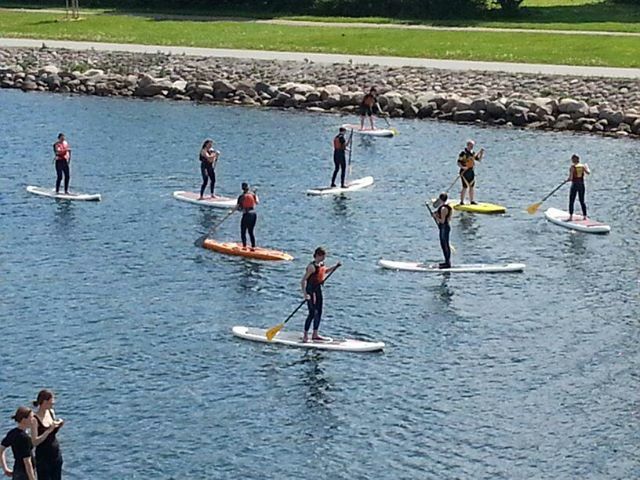 Kajakhotellet is the first established Danish school that offers SUP courses. 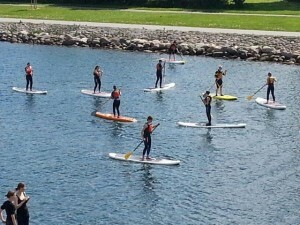 SUP is extremely good for your strength and balance, and it helps you burn a lot of energy. It is a new, exciting and fun outdoors experience you definitely should give a try. Vi offer sales, rental and courses in SUP.